It's been a while since I featured a fellow interior designer on my blog. Liz Carroll is not only someone I call a friend, but an incredibly talented designer. 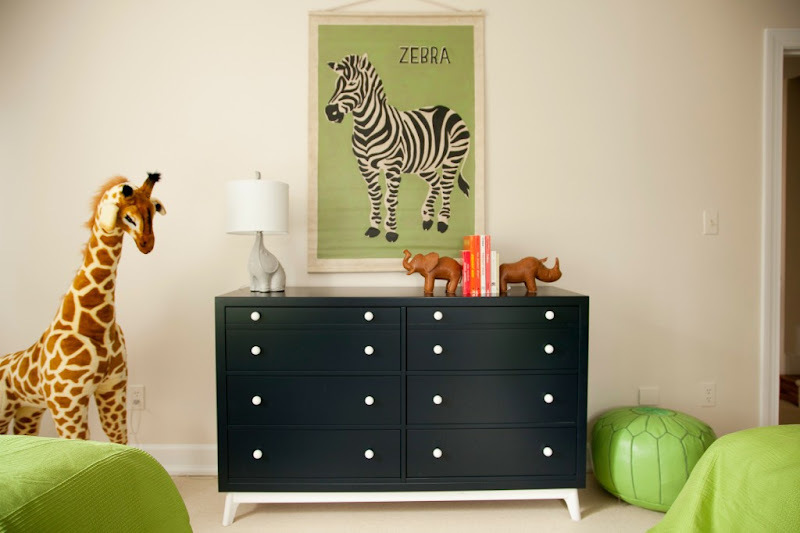 One of the rooms she designed was recently featured on Project Nursery. Did you see it? 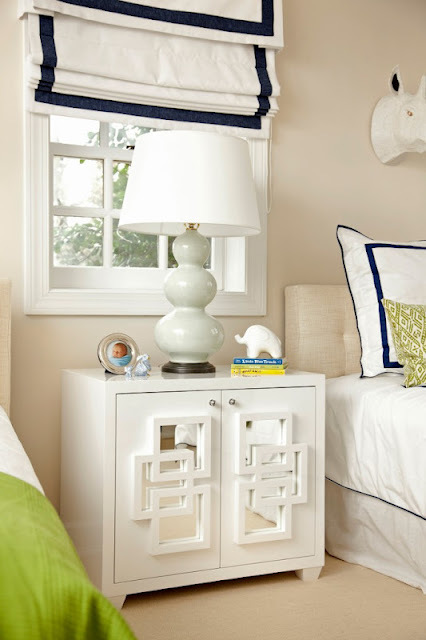 I adore the color combination of gorgeous apple green, navy, white and neutrals. It's so fresh and inviting. 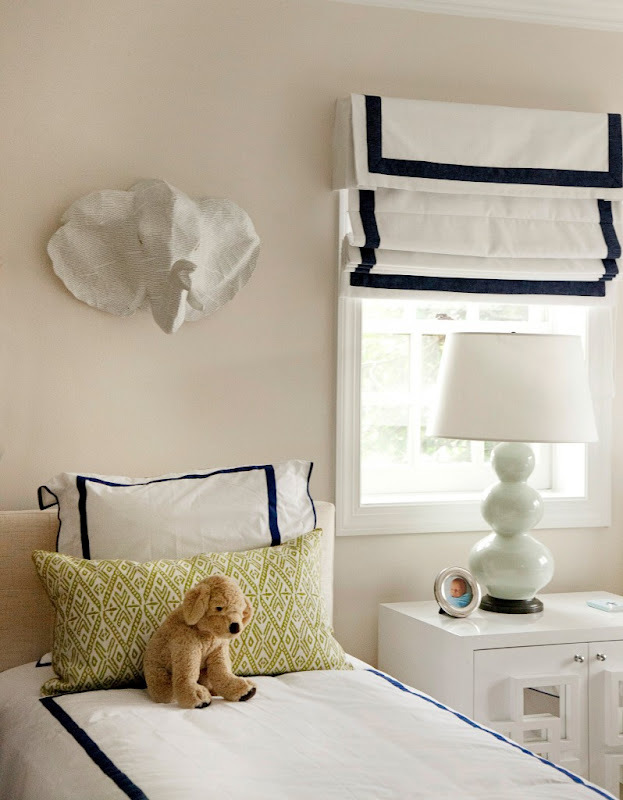 I have no doubt the little boy that gets to call this room his own is loving every square inch of it! You can see more of Liz's beautiful work on her website here.